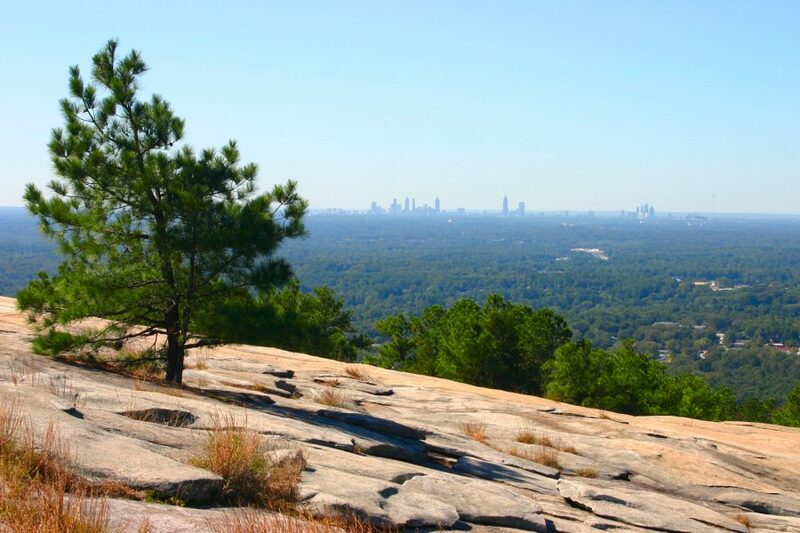 Stone Mountain is most known for its world-famous Stone Mountain Park, but the giant geological formation is only part of what makes living here so unique and enjoyable. Often called Stone Mountain Village by locals, this small suburb of Atlanta sits in the eastern part of DeKalb County where today, it’s an artistically-and-culturally-focused city that’s popular among all age groups and ethnicities. In 2001, Stone Mountain Village was listed on the National Register of Historic Places. In Stone Mountain, the difference between renters and homeowners is nil, with each making up 50 percent of the population. Despite the city being at the foot of one of Georgia’s most popular tourist attractions, housing in Stone Mountain is exceedingly affordable. In fact, the median home value is just $89,900, nearly $100K less than the national average ($184,700). The median rent is much closer to the national average at $947 compared to $949. The most popular home styles here are the traditional and ranch. Stone Mountain Village has one bus line that travels along Main Street and W Mountain Street, line 119, which connects to Memorial Drive. For this reason, most residents of Stone Mountain commute by car. Stone Mountain Village is just 12 miles from midtown Atlanta, 19.4 miles from Alpharetta, and 11.8 miles from Peachtree Corners. Stone Mountain has a diverse population that is made up of three-fourths African-Americans, with the remaining 25 percent including Whites, Hispanics, Asians, and people of two or more races. Women are in the majority here by eight percent over men and 28 percent of adults have earned at least their bachelor’s degree. Age-wise, Stone Mountain Village is even more diverse with adults aged 45 to 54 years making up the largest age group at 17 percent. They are followed by people aged 35 to 44 and those aged 55 to 64, with each group accounting for 15 percent of the population. Financially, Stone Mountain residents make less than the national average. The median individual income in the city is $22,539, compared to $27,419 nationally. The median household income is $38,670, compared to the national average of $55,322. Stone Mountain also has a higher unemployment rate than the national level, at 5.6 percent compared to 3.8 percent. With Stone Mountain Park right next to Stone Mountain Village, it makes sense for the city to be home to a well-varied culinary scene, although most of what you will find here falls under the moderate price range. For more of a fine dining experience, you may want to take the trip into Atlanta or nearby Decatur. Meanwhile, in Stone Mountain, you’ll still have plenty to choose from, like the hearty, American dishes at Sweet Potato Café, breakfast at The Original Pancake House, and the area’s best sushi at Nagano. At the Metro Cafe Diner, you’re served giant servings of American, diner classics, and you’ll find wholesome southern soul food staples at We Got Soul. For affordable and quick eats, grab a slice of pizza at Stone Mountain Pizza Café or choose from American, Italian, and French dishes at Stone Mountain Public House. Husker’s Café is said to have the best grits in Georgia, while you can get excellent Jamaican food for just a few bucks at Sunshine Jamaican Restaurant. Stone Mountain Village also has a good selection of quality bars, pubs, and lounges. The cocktails at CalaBar & Grill are revered by locals and Jack’s Sports Bar & Grill is a popular hometown sports bar. For a more traditional pub experience, try Brockett Pub House & Grill, or if you want to enjoy an evening of hookah and karaoke, then Impulse Karaoke is where you’ll want to go. The arts are alive in Stone Mountain Village. In fact, the city has quite a history in film. Many iconic moments in Hollywood history were filmed here, including scenes from Footloose, Stranger Things, Need for Speed, The Vampire Diaries, and others. Stone Mountain is home to the ART Station Contemporary Arts Center and Theatre Company, the quirky Museum of Miniature Chairs, and the historic Wells-Brown House, an enchanting early-1870s Neoclassical home that serves as the current home of the Stone Mountain Historical Society. Stone Mountain is also part of the Atlanta Regional Trail of PATH off-road trails, one of which continues to Stone Mountain Park. Other popular sights in and around Stone Mountain Village include the Stone Mountain Old Post Office Emporium, NCG Cinema, and the Stone Mountain Covered Bridge. Seniors in Stone Mountain are currently served by the Lou Walker Senior Center in nearby Lithonia, but in December 2018, a brand new 2.7-acre, $7.8 million state-of-the-art senior center took one step closer to fruition following a vote by the DeKalb County Board of Commissioners. Once this project is completed, seniors in Stone Mountain Village will enjoy one of the most advanced and capable senior centers in the Atlanta Metro Area. Stone Mountain’s residents receive excellent medical care through the DeKalb Medical Center, Emory Orthopedics and Spine Hospital, Northside Hospital, and the Gwinnett Medical Center in nearby Lawrenceville. With affordable housing, excellent medical services, and plenty of things to see and do, Stone Mountain Village is attractive to so many different people. If you’re looking to move to the Atlanta Metro Area and you want to live somewhere with good quality of life and low cost of living, then Stone Mountain Village may just check off all your most important boxes. Sign up for FREE, informative updates on home trends in the Atlanta area!